Uber for Business is Uber’s corporate ground transportation offering. It enables companies to move people safely and reliably with a consistent ground travel transport experience in over 600 cities around the world. With Uber for Business your company will gain increased transparency and control on all ground travel transport through real time reporting, access management, policy controls, and expense code functionality. In Australia, there are over 60,000 driver partners that enable thousands of Australian companies to move and manage their employees. LeasePlan provides valuable leasing and vehicle fleet management services for businesses and governments of all shapes and sizes. LeasePlan will keep your business mobile and save you time and money. We will also prepare you for whatever comes next as the world of mobility rapidly changes. We are committed to extending our decades of industry expertise into this exciting future. We help our customers lower their total cost of ownership, focus on their employees' safety and satisfaction, and manage their emissions. We will be your mobility partner, letting you spend more time on what you do best. Commerce Decisions delivers AWARDR - the most comprehensive evaluation solution on the market; developed specifically to support strategic, complex, or high risk procurement. With proven success on $400 billion of projects over 17 years, AWARDR has been deployed across many sectors including construction, transport, education, health and defence; in Australia and internationally. AWARDR, together with our best practice knowledge and expert services, provides project teams with the confidence that they are dealing with procurement challenges efficiently, meeting the demands of procurement regulations and delivering robust decisions that are open to external scrutiny. AWARDR has been proven to deliver time and cost savings, confidence, efficiency and defensibility. Felix is a trusted enterprise procurement platform that streamlines vendor relationship management and source to contract activities for complex procurement environments. Connect your teams across vendor onboarding, vendor management, sourcing, evaluations and approvals processes in real-time and get work done faster. Cloud-based and available on any device, Felix drives collaboration, compliance and transparency in your organisation to enable seamless engagement with your vendor base at scale. Bureau van Dijk, a Moody’s Analytics company help you understand the companies your ecosystem – we make it simple to assess companies domestically and internationally. Your business wants to understand who your third parties are and who you are doing business with – the challenge is to establish whether there are individuals or companies on sanctions lists within complex ownership structures. Our extensive financial company data, corporate structures and adverse data delivery more certainty on your business partners and the individuals behind them. Our purpose-built supplier risk platform is powered by Orbis the world’s most powerful comparable data resource on private companies, with information on 300 million companies. Use it to make better decisions, with more certainty. Renew IT is an IT asset disposal service and remarketing company. Head office based in Sydney, Australia and depos throughout Asia and USA - Renew IT provide asset buyback and secure data destruction services. Renew IT are always in the market to purchase laptops, desktops, monitors, phones, networking, server and storage equipment. Aleron is your trusted cyber security partner. Founded in 2010, Aleron helps our clients understand their business cyber risks, and mitigate them by delivering innovative and practical strategies. We combine our wealth of experience with a continuously evolving knowledge base to help businesses protect themselves from supply chain cyber-attacks. We are experts in providing security and risk management services to a multitude of areas within an organisation such as the supply chain, architecture, networks, and software development. We work with a diverse range of industries including financial services, retail, construction, utilities, and education. We're not just a solutions provider: we help make cyber security an integral part of your business conversations, to protect you at every level. That's what makes Aleron a true security partner. At Zycus, we grow when you grow. 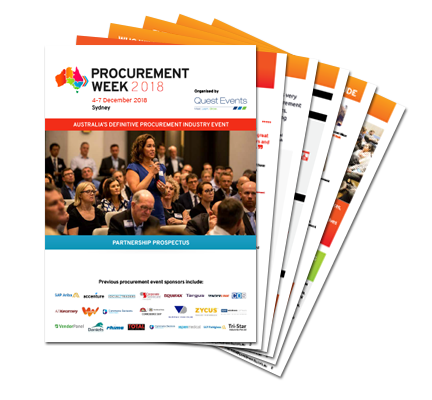 With a customer-centric approach and a consistently growing business across the globe, we have delivered result-oriented technology solutions to some of the top procurement teams across industries and federal organizations in Australia. Zycus has been consistently recognized as a leader in Gartner’s Magic Quadrant for Strategic Sourcing Application Suites. To understand how we can help your organization save cost, achieve global compliance, curb maverick spends and address your procurement challenges, please visit www.zycus.com. View the Zycus Procurement Pulse research report conducted with 400+ procurement professionals here. Single Cell is an Australian owned technology company servicing large enterprise, State and Federal Government. Founded by an executive team rich in professional services experience, Single Cell are passionate about delivering solutions that enable real business outcomes by empowering people in procurement. Utilising modern technology and delivered as a rich, software-as-a-service solution, our core offering, Progenitor provides powerful capabilities for the management of the full procurement, supplier and contract lifecycles providing an innovative, agile and customised solution to organisational needs. Progenitor improves transparency, educates users and builds stronger relationships with suppliers by adapting to fit customer business models. It provides a high degree of personalisation that reflects the unique nature of the individual organisation, and ensures users are being fully compliant with specific process.